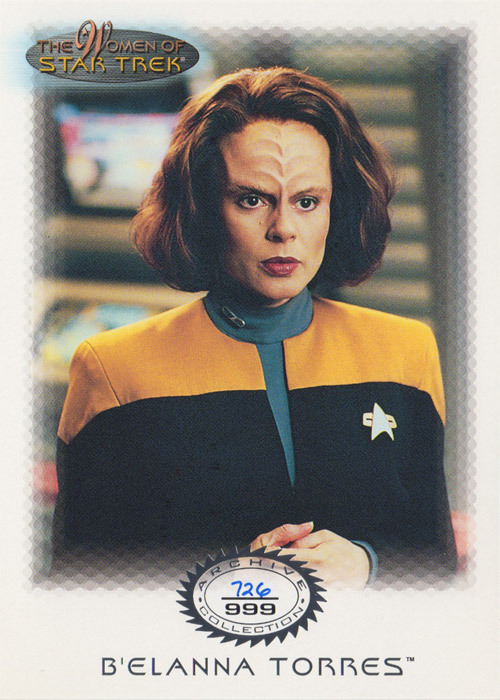 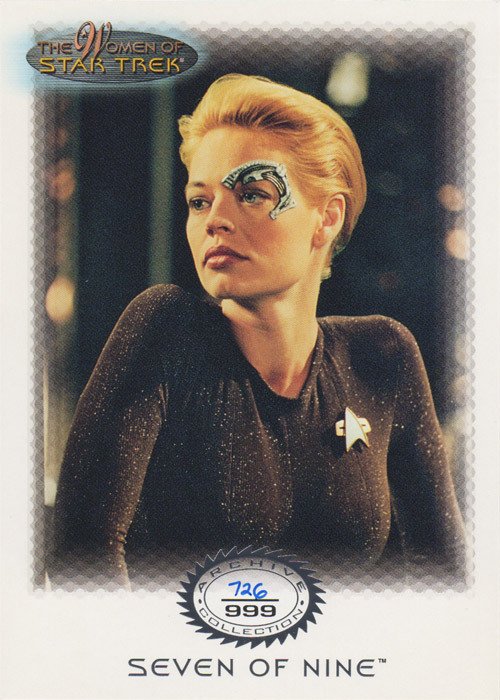 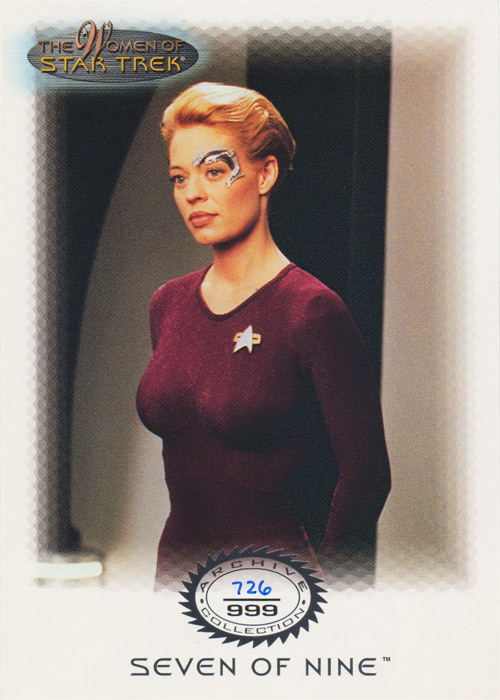 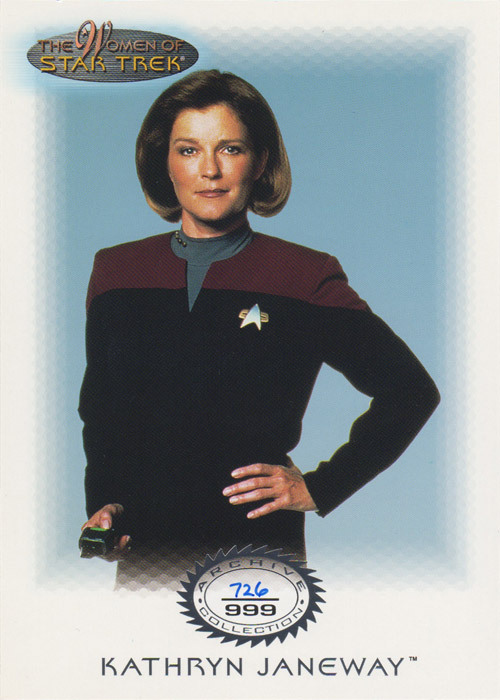 This set was a UK exclusive distributed by Cards Inc. Based on the The Women of Star Trek series, this is a 5-card Archive Collection series featuring Seven of Nine, Kathryn Janeway and B'Elanna Torres. 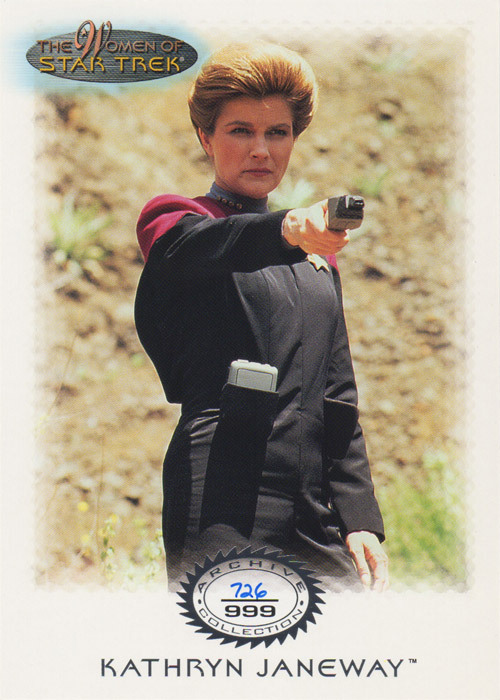 The 5x7 cards come as a set, and are limited to only 999 hand-numbered sets, each with matching number. 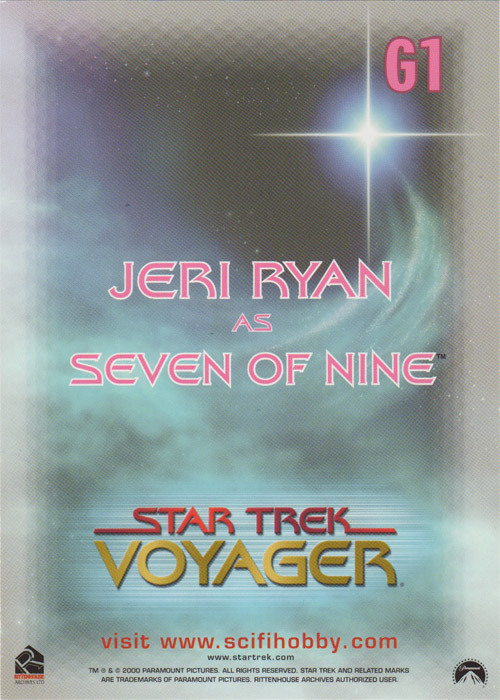 Rittenhouse Archives 29 November 2000 999 N/A 5 5" x 7"